I ate and drank in 'Le Bien, Le Malt', Le Malbord and La Captive. 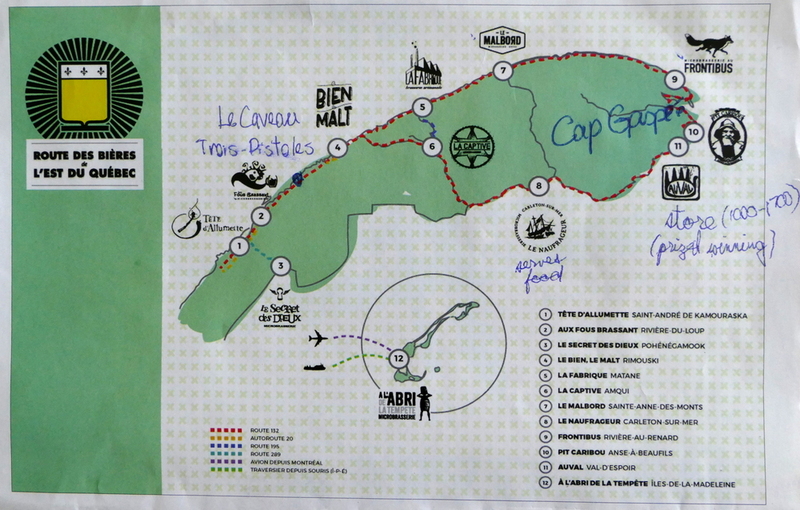 I drank at Cap Gaspé and Pit Caribou. I bought beer from Auval, Le Naufrageur, and Aux Fous Brassant. And I found out that Frontibus wasn't actually open yet, even though they're on the map (although they should be now). And the winner is ... of the beers I tasted in those pubs, Cap Gaspé's IPA was a clear winner. Although their brewmaster was excitedly telling me how she's changed the next batch and it will be even better! You already had a fantastic beer on your hands. The loser was Pit Caribou's Black Berliner. It's a sour, with smoky notes and the taste of sweet pickle. I drank the whole 4oz sample because it was so utterly fascinating. But really awful too.